New York, New York, February 4, 2016 – Equity Gallery is pleased to announce Displacement, a solo exhibition by Meghan Keane running from March 1 through March 26, 2016, with an opening reception for the public on Thursday, March 10, 6-8pm. 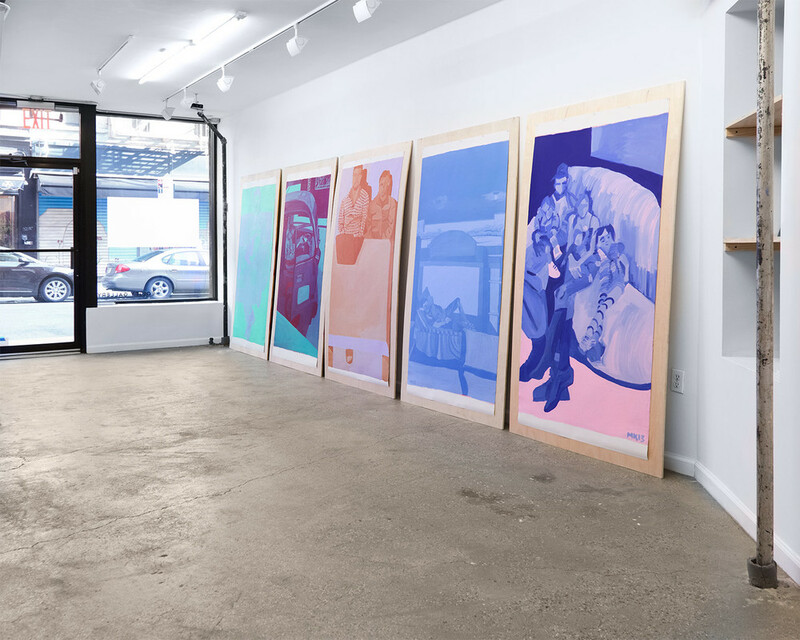 This is the artist’s New York gallery debut. Keane’s interest in respectfully honoring her sitters permeates all aspects of the work. She structured this project with contracts mandating that the foundation receive 50% commission on net sales from this body of work. As hoped, this unconventional fiscal partnership between artist and subject has already had profound social impact – one painting acquired by a private collector in Zurich underwrote the foundation’s operating expenses for two months. Meghan Keane is an American painter and printmaker, born in Saint Paul, Minnesota. She is increasingly known for her unexpected, peripatetic approach to generating work. Her paintings have been published in The New York Times and four prints of work from Displacement are on long-term display at Princeton University. Keane was trained at Parsons School of Design, Brooklyn College, USFQ Ecuador and Université de Paris. She has lived and worked in New York since 2001. Led by artist Meghan Keane, participants of any skill level are welcome. The workshop begins with drawing from life, honing ones ability to work observationally, and then will expand into flexing the creative muscle by using the work as a jumping off point for an creative work using office supplies and found papers. Required: Bring your own sketchbooks and pencils, the artist will provide the rest. Register here: LINK. Limited to 12 adults. Led by artist Meghan Keane, families of all art experience levels are welcome. This workshop is designed for parents and children to work collaboratively, or simply next to each other. The workshop starts by drawing what you see and practicing observing the work in the gallery, and ends with making some fun, unusual prints – collographs – using tape and string. Register here: LINK. Limited to 6 families. Keane painted all the works in Displacement while playing Bach’s Cello Suites off of her iPhone for her sitters. 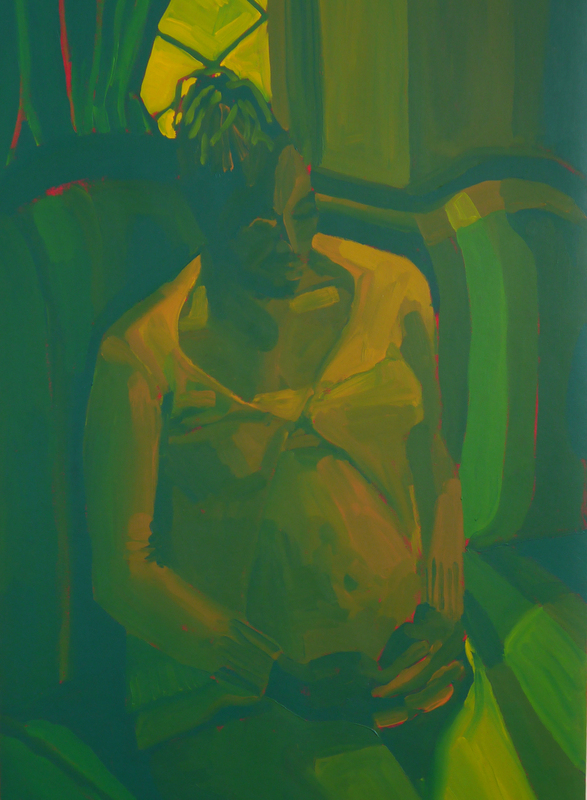 For the exhibition’s closing, Keane has invited award-winning musician and composer Ljova to perform solo works for viola, works he composes improvisationally, to recreate both the atmosphere of the paintings’ generation as well as dynamic experience of watching a work come into being before you. The performance will run from 4-5pm. Donations for the musician are encouraged. The artist will be available for a meet and greet after the performance from 5-6pm.